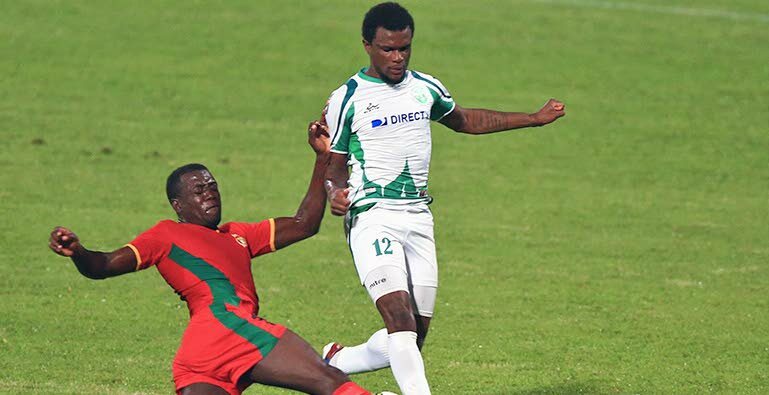 DEPORTIVO MALACATECO will have to pay a sum of Guatemalan $120,000 to top local football club W Connection, within 10 days, for the training rights of striker Jerrel Britto. The 25-year-old Britto was a member of W Connection from 2012-2015 following which he moved to Mexican outfit Murcielagos. Britto never played a game for Murcielagos, as he was sent on loan to Malacateco for the 2015-2016 season. According to an online story on lared.com.gt, “Last year, Malacateco received a lawsuit from (Trinidad) club W Connection, claiming the rights of formation of striker Jerrel Britto, who played (for) Malacateco during the (season) in 2015 and was discharged for this championship. “The (club) president said that the lawsuit was filed in the amount of $120,000 and that the National Football Federation of Guatemala received the notification, but sent the notification late. “So now, they have 10 days to pay that amount. After his spell at Malacateco, Britto returned home to play with Ma Pau (now North East) Stars for the 2016-2017 TT Pro League season. He currently plies his trade with Honduras Progreso. Reply to "W Connection to receive payment from Guatemalan club"